TWO Limerick clubs were in Ulster Bank AIL tonight. Shannon got the better of Young Munster in Thomond Park in 1A while in 2A, on the UL 4G pitch, Bohs lost by a single point to Nenagh Ormond. Shannon 23, Young Munster 10. This was an important game for Shannon and they delivered in style, running out deserving winners over their local rivals on the main pitch at Thomond Park. The home side went into the lead on six minutes when winger Nathan Randles got over near the corner flag but Young Munster quickly turned that around. A fine break by Craig Airey opened up the defence and Clayton Stewart touched down and also added the conversion for a 5-7 lead. Steward missed an earlier penalty when the ball came back off the post and after Jake Flannery missed a similar effort for Young Munster at the other end, the same player found the target to increase the visitors’ lead to 5-10. A counter-attack by Shannon set up the next score, full-back Jamie McGarry racing clear and Will Leonard powering over under the posts, Jake Flannery’s conversion putting Shannon back in the lead at 12-10. A further Flannery penalty saw Shannon lead 15-10 at half time. Shannon had the better of the second half and they kept Young Munster scoreless. Rob Deegan and Will Leonard set up a try for Jamie McGarry to push the home lead to double scores, 20-10 and Shannon sealed their first win of their campaign when Flannery kicked a penalty for a 23-10 victory. UL Bohemian 12, Nenagh Ormond 13: Nenagh appear to be something of a bogey teams Bohs and the Tipperary boys came away from the University pitch the happier with this narrow victory. 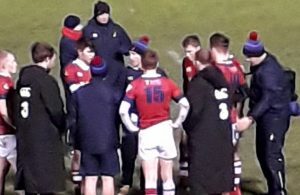 It was nip and tuck in the opening quarter and fans had to wait until the 30th minute for the first score, a try from UL Bohemian’s James McCarthy, converted by Robbie Bourke. Nenagh replied with a penalty to leave the home side leading at the break 7-3. 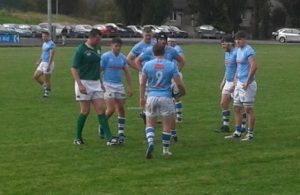 In a tense second half Nenagh came within a point of their rivals with another penalty and a try by Stephen Carey saw his lead 7-13. In a thrilling finale, UL Bohemian got a lifeline when Brian Walsh got over for a try but the missed conversion proved costly for the home side.